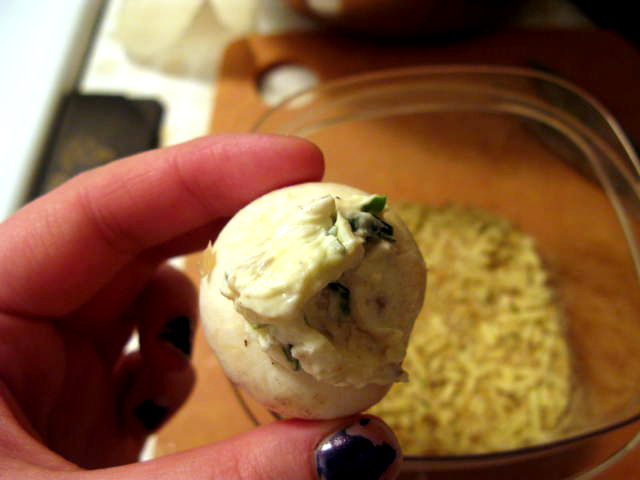 Round Potluck – Stuffed Mushrooms | Raptor Toe - Food, Baking, Fun. Preheat yo oven to 350. Rinse or brush your mushrooms clean, but no soaking! Then remove the stems and set them aside. Done! Man I work fast. 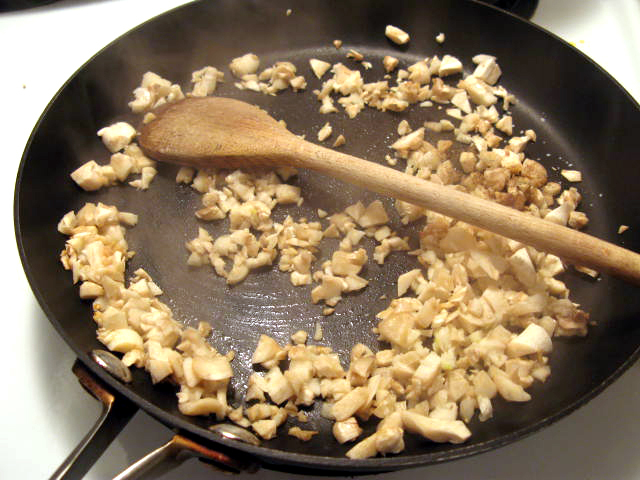 Heat a fry pan to medium-high with a tsp of oil. 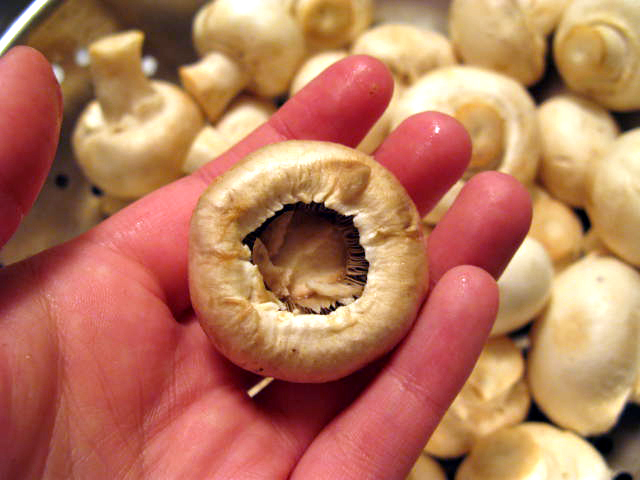 Return to your mushroom stems, finely chop them and begin softening them in the pan along side your garlic. Once this is done turn off heat and set aside. 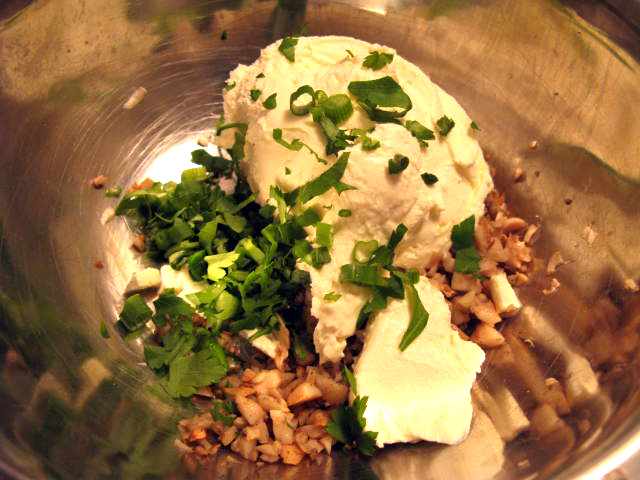 Place mushroom mixture in a bowl along with cream cheese, cheddar and herbs. Mix! I forgot the cayenne, so this is me adding it now. See! 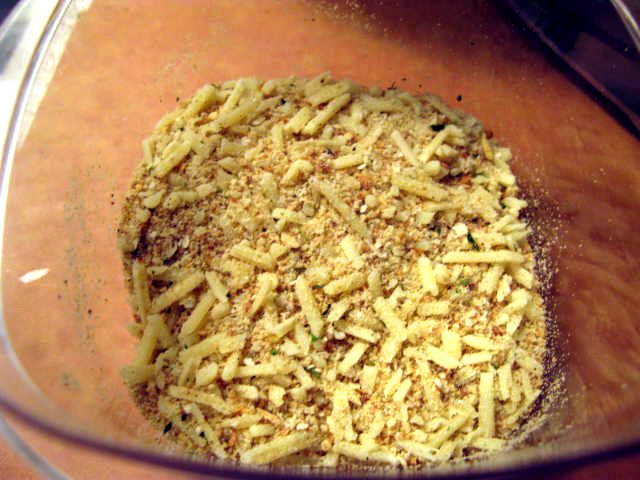 Combine your bread crumbs and parmesan in a small dish and set aside. Fill each mushroom with a little goo. Pardon my bad nails. I work with my hands, okay? Place on a parchment lined baking sheet, and bake for 20 minutes, or until mushroom is cooked and tops are lightly browned. 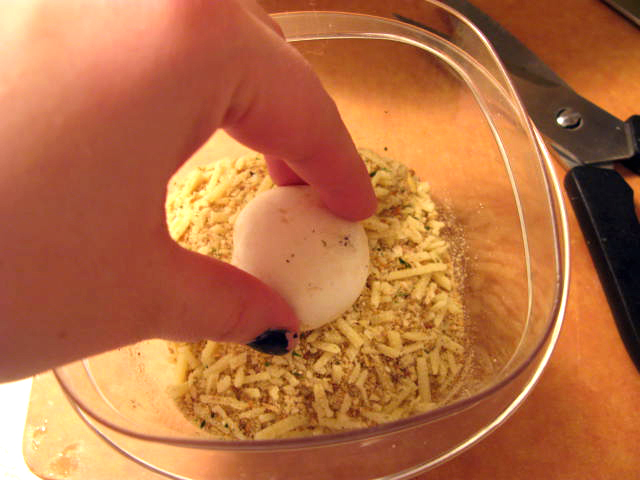 You really don't need parchment for this, but it makes clean up SO much easier. Serve warm and enjoy! They really don't last long. 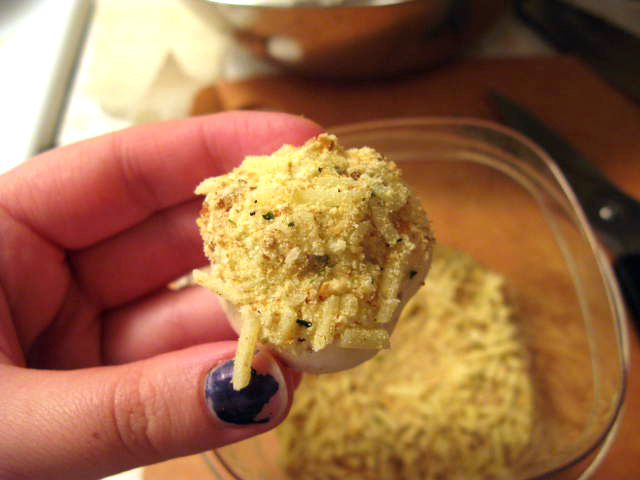 This entry was posted on Monday, January 17th, 2011 at 6:01 am	and tagged with appetizers, baking, cooking, cream cheese, food, mushrooms, potluck, potluck ideas, recipe, recipes, stuffed mushroom caps, stuffed mushrooms and posted in Food, Savory. You can follow any responses to this entry through the RSS 2.0 feed. 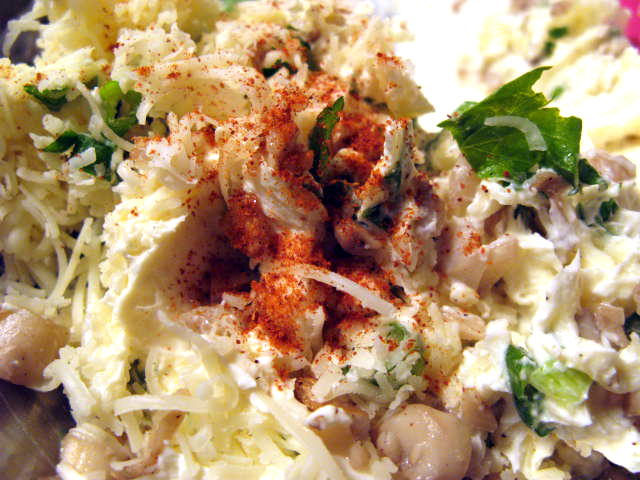 Excellent recipe..and I love, love mushrooms! Me too! Always have some in the fridge. So many different ways you can make them too! 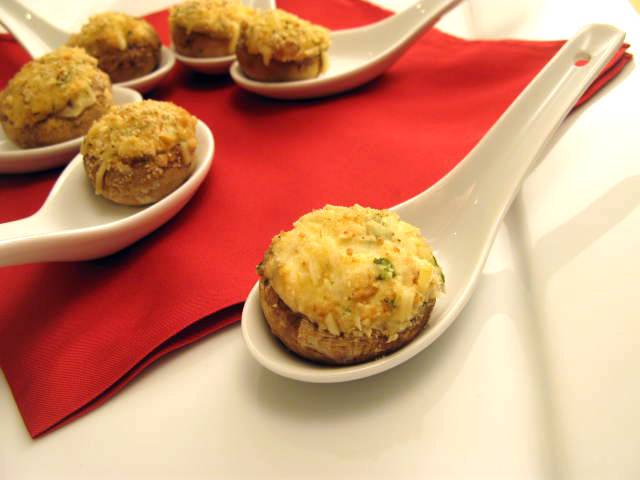 Wow I love stuffed mushrooms and yours look amazing! Def will have to try. Thanks for sharing! 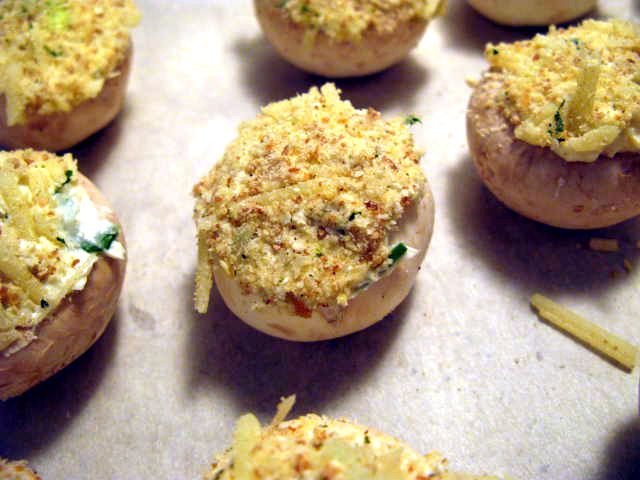 I love getting stuffed mushrooms at restaurants or grilling stuffed portabellas in the summer. Mushrooms are so good, and your version sounds delicious! Thanks for sharing! 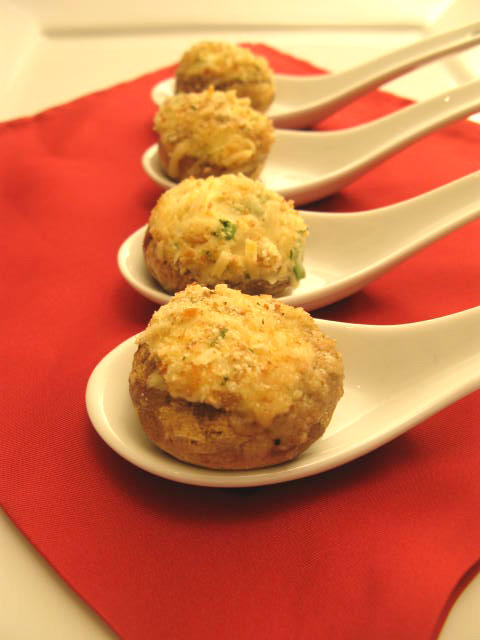 Also, so fun to have a “round” theme for your potluck. I loved the mini pizzas too! Thanks! I love having themed potlucks, it forces some people out of their usual comfort zone and I’ve seen some very creative things. It’s great! stuffing with white cheddar? That’s a great idea – would love to taste it! You should try it! White cheddar adds a really nice sharpness. 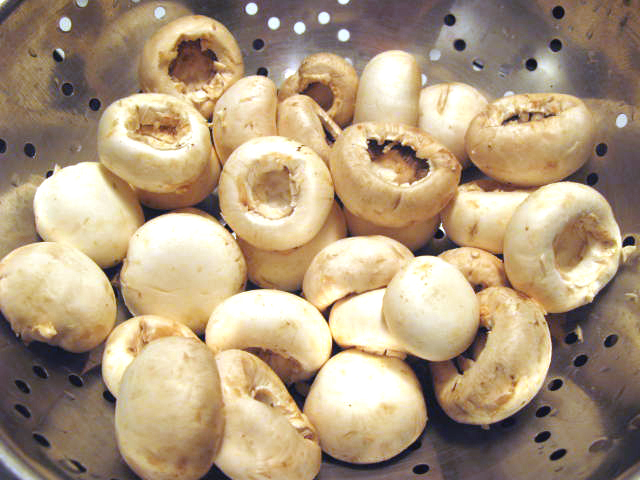 Great mushroom cap recipe, yummy. Love your choice of serving dish, you know I have so many of those things and never know what to do with them. Thanks so much for a great recipe and a really good idea. Your mushrooms look so different from mine. What a gorgeous presentation you have. Thanks for sharing. I love your mushrooms. I’m a big fan and would probably eat a whole platter full before the company even arrives. Loved everything you did with them (especially the goop inside). These look great! Do you think they would turn out as well, if I left them in the fridge overnight and baked them the next day? They would be 100% fine.